LED video panels and projectors are useful systems for displaying visual content to midsize and large audiences. While each option has its unique perks, there are certain circumstances that call for LED displays instead of projectors. If you’re considering renting one of the two for an upcoming event, this guide will help inform your decision. Some venues have lighting setups that can make it challenging to show visual content over projectors. If your space has large windows that can’t be covered, the natural light can make it difficult to see the image produced by video projectors. In these and other instances where you’d need maximum brightness, LED panels are the clear winners. 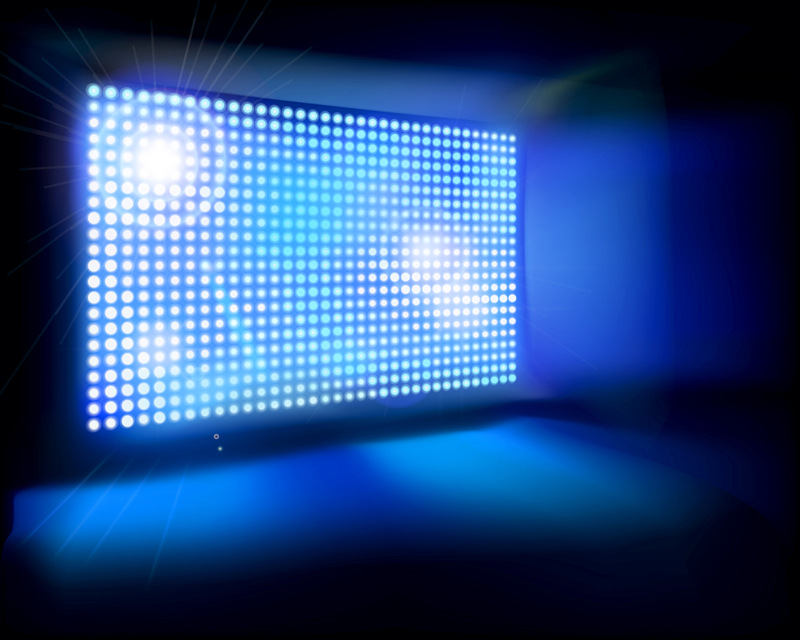 The light output of LEDs is much higher, as projectors show reflected light, whereas LEDs deliver direct light. Projectors are well-suited for presentations such as slide shows; but, if you’re showing an HD video, an LED video panel may be the way to go. While projectors are fine for showing static pictures and text, any HD presentation demands the high contrast and resolution of LEDs. If you’re hosting a concert or festival and need to give audience members a clear view of performers in real-time, this would be a perfect scenario for using LED panels. Lastly, many church gatherings, trade shows, and similar events rely on projectors to show their content. This tends to work well if the venue is set up for rear projection with a large viewing screen. Otherwise, anyone who gets too close to the screen may cast shadows. If your venue can’t be properly set up for a projection screen in a way that won’t create shadows, you’re likely better off using an LED system. Whether you need LED video panels or projectors, Audio Images Sound & Lighting is the premier source for audio, staging, and lighting rentals. Serving the Western New York area, their team has provided unparalleled event production services for over 20 years. To learn more about their equipment and services, visit their website or call (585) 343-4050. What Causes Microphone Audio Feedback?